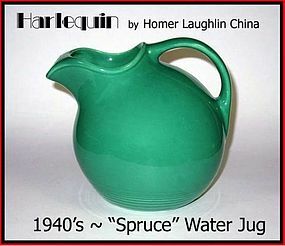 This is officially called a "Harlequin Service Water Pitcher" in Spruce Green. This spruce green color jug has very minor use and harder to find than most other colors. It has 2 burst bubbles in the glaze.